Sevenoak camera slider would be a great start for this list. 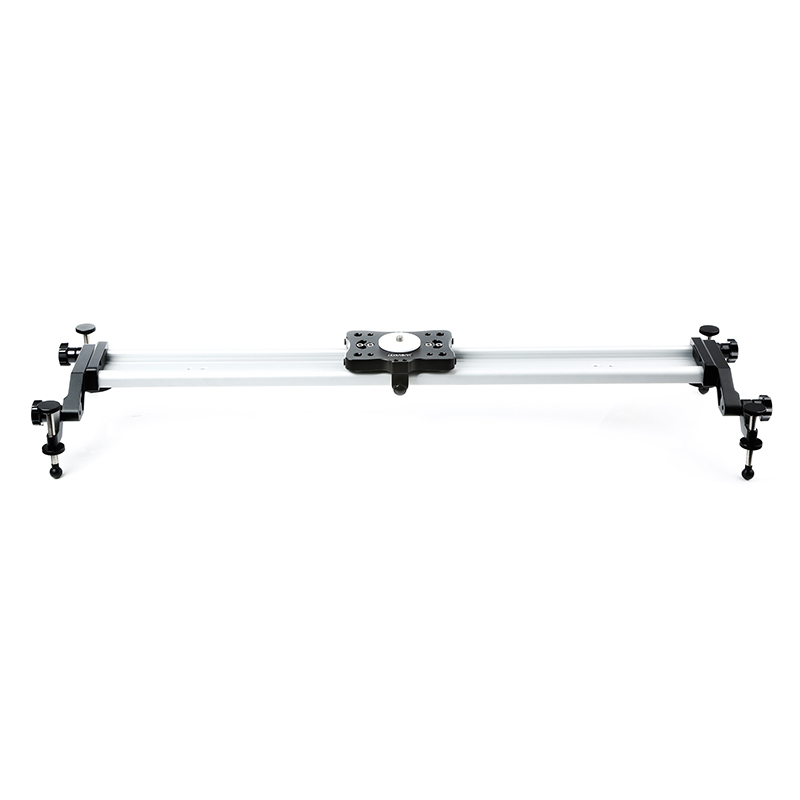 The slider is 80cm and the track rail is 19mm; these allow you to capture with smooth and stable sliding motion. The slider also has angle-adjustable legs and non-slippery, adjustable rubber feet for added convenience and flexibility. This slider is a versatile gear for a camera that is used as a crane on a tripod once you remove the adjustable feet. Next, this mini Camera slider can be packed easily in a travel bag anywhere you want with the size it came in which is 40cm. The heavy-duty camera slider guarantees a shake-free stability, and its ability to support cameras while shooting provides you a good polished film result. It can be used standalone with the included feet whose height can be adjusted easily, or attached directly to tripod(s) with the built-in screw thread. With precision bearings built under the sliding plate, the camera motion is smoother and quieter than ever. The SK-HD75 series camera slider are suitable for amateur cameras, professional cameras as well as for cameras with recording function (such as Canon 7D, Canon 5D Mark2, Canon 60D,Canon 500D~550D,Nikon 3100,D7000,Sony A55 etc).